Join the IAM’s live studio webcast of Activate L!VE Wednesday, April 18 at 3 p.m. Eastern. This week’s show will focus on the union’s no. 1 charity Guide Dogs of America. We’ll hear from GDA President Russell Gittlen about what’s new at the school and its training program. 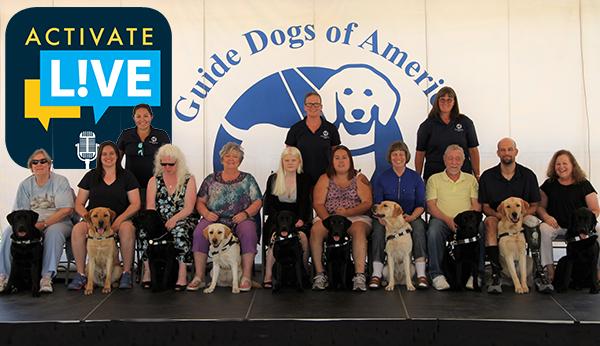 Michelle Plunkett, a GDA graduate from Virginia, will tell us what having a guide dog partner means to her.